Everything that’s conscious has the ability to use telepathy because everything is connected just like the internet is connected to most computers around the world. Every node or conscious entity has a built-in receiver and transmitter that allows communication in the etheric network. A radio receiver, for instance, has to be tuned to a particular frequencies in order to hear stations broadcasting on them. Ham radio operators, in order to communicate with each other, have to have their transmitters and receivers set on an established channel or frequency in order for everyone to communicate with each other. In the same vein every entity that communicates with each other does so by being “tuned in” to a common channel or frequency on the etheric network. However, there is not just one channel that an entity can communicate with as multiple channels can be accessed by will. Every entity has a designated channel unique to themselves that others can tap into to send thoughts to them. The receiving entity, recognizing the source of the message will respond by transmitting a thought message back to the sender’s unique channel. In ham radio terms this would be called “cross channel communication” and is very specific to point-to-point communication. There are also central node channels that entities can communicate with each other as a group. The is very similar to the way conference calling works in our world. In an etheric sense this would be called group consciousness that is shared by any number of entities. They can naturally tune into this simply by being part of a group that shares common interest, ideals, friendships, experiences, etc. This increases the energy bonds between individual members of the group to the point that when one member of the group has an idea or thought then others seem to come up with the same. A great example of this happens to humans when they have a close emotional bond with someone such as a mother or father. How often have you tried to call your parents on the phone just to find out that they were trying to call you at the same time! This is a form of telepathy that humans already experience but don’t realize it. Group telepathy is more prevalent with humans than the point-to-point method. Point-to-point does require greater focus and intent directed towards a particular person for them to receive the thoughts. However, the receiving person has to have their receivers “on” in order to get the message in the first place. It seems that most humans can transmit thoughts but the problem is our internal receivers are not working in order to receive what’s being transmitted. This is why entities such as the Sasquatch and Little people can clearly “hear” our thoughts whenever we enter the forests and can thus discern our intent immediately. Malevolent entities have taken advantage of group telepathy in humans. They have artificially created a common channel for humans through thought conditioning of the masses. Religious, political and economic belief systems are all part of this conditioning. This is further supported by all forms of media and especially now with the advent of social media to further strengthen the etheric bonds shared with each other. Humans that become engrossed in this system connect to this common channel and end up sharing the same way of thinking. Most will claim that their thoughts are their own but in reality they are receiving the same thoughts via telepathy from the group consciousness channel. The elites have also picked up on this and have used it to their great advantage by controlling masses of people in swaying elections their way to keep them in power. Those humans that have pulled away from this conditioning and have developed new bonds with nature are in essence re-tuning their telepathic receivers/transmitters to be more in line with channels used by the forest people. Over time, the bonds become very strong and group telepathy with the Sasquatch starts to become apparent along with other humans sharing in the same experience. We then become grafted to their group in order to receive vital information that will allow ourselves to evolve further including point-to-point telepathy with individual Sasquatch/Little People as well as eventually with each other human-wise (this message is a result of that communication). This process will take time. Remember humans once had these abilities naturally. Long ago humans began to focus on the material world instead of their interconnection with nature and the abilities atrophied over time. We have to slowly bring ourselves back to this connection and re-establish our place as a responsible species on the planet. Only then will our long lost telepathic abilities be fully restored. It’s been a while since I have posted an article as I have been busy in my interactions with the Sasquatch and my spiritual guides in ramping up my remembrance or re-learning of the knowledge of universal truths. Along the way I have discovered more of my empathic and psychic abilities as my pineal gland (3rd eye) becomes more active. This has also heightened my ability to know when the Sasquatch are around and has assisted me in knowing when to take pictures in certain directions and later discover them upon photo analysis. 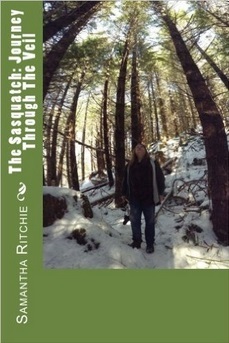 As of this past summer, my friend Anita Hlebichuk has been accompanying me in my research out in the Cascade Mountains. 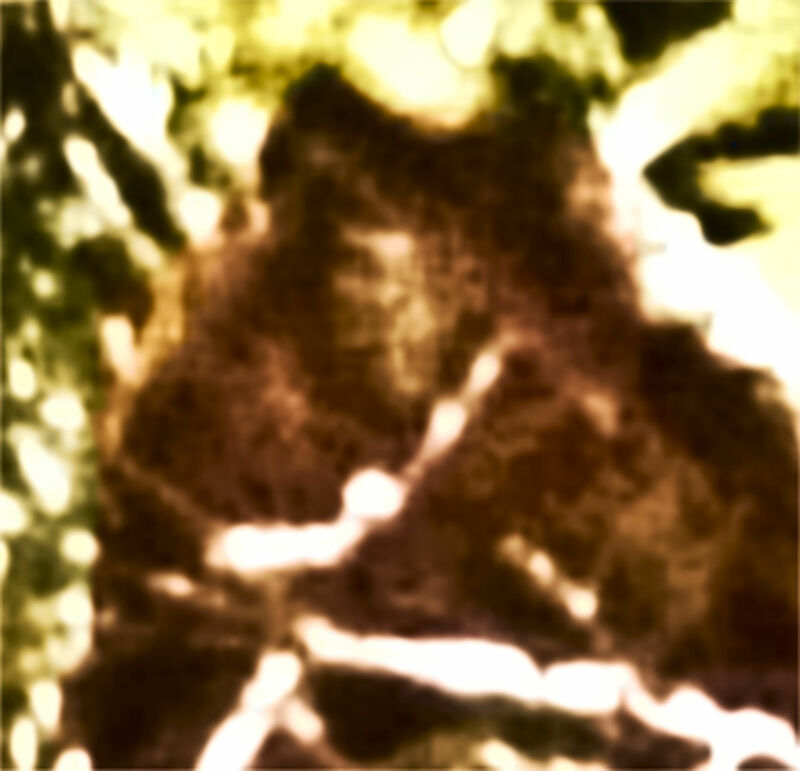 Due to her own unique psychic abilities of being able to mentally see or hear beings such as the Sasquatch or Little People, it has worked out well for both of us in making sense of our experiences. We both came to the conclusion that the nature of reality is vibratory and entities we don’t normally sense in the 3D world are simply vibrating higher or lower than our own quantum state. That being said, our experiences with what we feel is completely inter-dimensional has increased, surprisingly since the solar eclipse of few months back. In mid November we both attended the Sasquatch Summit in Ocean Shores, WA to glean more information from the speakers but mainly to meet up with fellow friends and researchers. Getting there on a Friday afternoon and checking into our hotel, we decided to take a drive down the peninsula as the weather was nice and it was something I really enjoyed doing all the times I visited before. As we got to the half way mark of the drive, Anita began sensing a deep sadness, not for herself, but from some other entities. As I asked further of what she was feeling she best described it as the sadness of being stranded, knowing you will never see home or loved ones again. The feeling continued to intensify the closer we kept driving towards the peninsula’s tip. It seemed to be strongest near a turn out parking area that gave access to the breakers between the ocean and Aberdeen Bay. We were perplexed as to what this could be. Were these the spirits of long lost sailors who are bound to the earth forever? “A ship”, she says, “it has something to do with getting here on a ship.” There was not much more we could make of this as it was getting time to attend the evening session of the Summit so we left. Saturday morning we ended up getting a late start and decided the Summit’s morning session would have to be a wash. After a quick breakfast we decided to give it another go towards the end of the peninsula to see if Anita would sense these entities again. Sure enough, after we made it down to the half way mark, she once again was sensing the sadness but this time I started to sense something additional about them but waited to tell Anita. As we neared the same parking area next to the breakers I said, “Anita, they’re not dead spirits. They are inter-dimensional beings and the ship that they are referring to is not a boat but some kind of inter-dimensional or space transport vehicle.” I told her that’s the explanation that came over me very strongly but I didn’t want to say anything out of doubt. “That’s it! That’s what they are!” as Anita continues to confirm what she was now getting. It’s like, what I said, was the key for her to make sense of who these entities were. They are very different in nature from what we are in this reality and could never exist in our 3D world. They are from a place that that could never get back to as the portal they were using malfunctioned and they ended up here. They could travel anywhere on the planet but it still is not home to them. They had been here for a very long time, hundreds if not thousands of years from what she was feeling. They had given up all hope of leaving to go home hence the intense sadness they were feeling. I proceeded to write the letters “T C” in the sand along with an old Nordic symbol Ansuz (similar to “F” that I use to represent myself to the Sasquatch) and placed my hand on one of the driftwood supports of the portal location. We both felt helpless as there was nothing we could do to solve their problem of getting home. Although the sadness was still felt of being homesick there was no longer the sense of total isolation as they were finally able to contact a human directly. There was one humorous moment where I keep asking questions through Anita, “Can you ask them this or that?” and she would come back and say they can hear and understand my thoughts directly so I didn’t need to use her as a go-between. After lingering for a bit we left in order to attend the Saturday afternoon session. After we arrived at the casino where the Sasquatch Summit was taking place, Anita went off to take care of some things working with another friend who had a vendor table in the front. I walked in the main conference area but did not feel compelled to stay but a few minutes so I walked out and talked with a number of people who knew me. Just as I grabbed a cup of complementary coffee and sat down on a comfortable lounge chair I could still sense the TCs and felt their emotions coming through. I could also feel their thoughts starting to come through so I grabbed my notepad, cleared my mind and let their thoughts flow through as I continued to write. After 2 1/2 pages of writing I stopped and was very surprised at some of the information that I didn’t understand at first. “We come from a distant region of space in another form of reality. We exist as energy forms on a different plane of existence. We are giving you the ability to receive our thoughts by tuning into your particular energy pattern. We will guide your thoughts to form expressions that make sense to humans. As far as Anita is concerned, she has the ability to not only hear our thoughts but we hear her thoughts too. We also hear your thoughts and we can help you with the ability to hear us as well. Our portal was transfixed to send and receive our energy patterns to a particular base pattern that was unique to our world and universe. That pattern became distorted somehow and, while in transference, we ended up here. There was no way to retrieve that unique base pattern thus our portal became dis-functional. It’s similar to a checksum in your computer’s memory that halts the operating system when a mismatch occurs. Due to the complexity of the pattern and combinations thereof it would be like as you would say finding a needle in a haystack. We cannot propagate our species here nor build a meaningful life due to the mismatch of our nature to this particular reality you exist in. [Note: This sounds a bit like a limbo of sorts much like spirits stuck on the earthly realm.] We stay close to our portal location in hope that it can be fixed and activated someday. We detected both of your energy patterns among many that were different/unique from other humans as you were attracted to our distress call coming from our portal location [Note: Anita initially sensed them and their sadness or being isolated] We were anxious to have you figure out we were here but when you left we felt grief of having our hopes dashed once again. But as you returned the next day, you stopped and walked towards our portal. We then knew we had made contact! We had confirmation that we had connected when your symbols were written in the sand. So that’s where it was left. We enjoyed the rest of the Summit activities and left the beach on that Monday. We both wonder about the TCs and their fate but feel there’s always hope in the universe for those that keep a positive outlook. There’s a reason for everything and there are no coincidences. This past Saturday (July 7th, 2018) started out as any other day in the mountains. My friend Anita came up for the weekend and after getting some coffee and a bit of breakfast at Wapiti Woolies, we made plans for which of our research areas we would visit first. The previous day I had received a message that I should bring Anita down to the Field of Dreams (research area #1) to address the Little People together. It seems they are really digging the interactions they are having with me and they wanted more of my friends to engage them as well or at least acknowledge them when visiting. So the intention was to go to this area first closer to Greenwater before driving to our more remote spot. As we got in Anita’s car something told me to change plans and go to the more remote area (we call the Fortress) first. As we approached this spot there were campers there so we decided to drive up the mountain road towards a particular hairpin turn above the Fortress and then park. Here’s the funny thing… both of us spontaneously said or thought “Let’s just continue on to the top of the mountain.” So as we continued past the hairpin turn, my mind drifted for a minute about my health concerns and how I’ve been thinking about getting back to the chiropractor for a much needed adjustment. Arriving to the top and parking, we got out and admired the beautiful weather and the awesome panoramic view of the surrounding mountains. However, the trash and shotgun shells laying all over the place was a big distraction and I didn’t feel right about pulling out our gravity chairs to relax amid all this debris. So I suggested we at least pick up a lot of the trash and shotgun shells before taking it easy on the chairs. A half hour later we had two large sized bags filled as can be seen above. We were trying to do our part in being good stewards to the planet by our effort and it was a great feeling in doing so. Finally we grabbed our Indian drums and my flute before kicking back on the gravity chairs to play. The combination of Anita’s drum and my flute made for some beautiful music and we continued playing for several minutes before a car pulled up. We thought at first it may have been people looking to do some target shooting and the last thing we wanted was for anyone to invade this spot and mess it up all over again. So we continued playing. It turned out to be a couple. The woman got out first and walked over to us and complemented us on the music. It turned out that they were looking for a place to camp by the river below but something told them that they should continue on up the road. I said “You’re in luck! We just cleaned up this area right before you arrived.” By then, the man got out and walked over to introduce himself. It didn’t take long to realize that they were on the same spiritual path that me and Anita were on as we talked about the universe and consciousness. It was as if we knew each other for years and that in itself was an awesome experience. We welcomes them to go ahead and set up camp while we continued to play the drums and flute. They were also going to be joined by their spiritual teacher who was also going to camp for the night. At some point they pulled out their business cards and it turned out he was a chiropractor and she was an esthetician – both were involved in the work of healing! He then says “I just so happen to have my adjustment table with me in the car and I can give both you and Anita adjustments”. Talk about the universe answering back as I was just thinking about this earlier before we arrived! After they set up camp and gave us chiropractic adjustments it was time they had to go back to Greenwater to meet their teacher so she could follow them back to their campsite. Since they were going back we offered to go back and meet their teacher at the general store. I also suggested they follow me to my place to get some firewood to help them out. Meeting their teacher was extremely enlightening and both Anita and myself told them we were coming back to the campsite a little later. As we arrived back at the camp around 7pm the couple along with the teacher were gathering even more trash and shotgun shells along with the brass spent rounds. We proceeded to help them finish the task. I was also surprised at the number of unspent 22 rounds we found and we made sure they were separated from the other brass rounds for safety sake. The rest of the evening at the camp was unbelievable. So much information to be shared. What really floored us was the teacher wanted this couple to come out there and not only connect with nature and also learn about the forest peoples and entities that dwelt there. Of all the people this couple runs into, we are the ones the universe provided for them to learn what they needed about these very things! By the way, earlier when we were playing music right before they arrived, I had one of my intuitive moments, grabbed my camera and took pictures off to the right side of the mountain. The Sasquatch were there and they were also nearby as we sat around the fire later that night! It’s been a busy couple of years for me not only trying to do my research but dealing with certain health issues and the loss of a dear friend that was living with me. 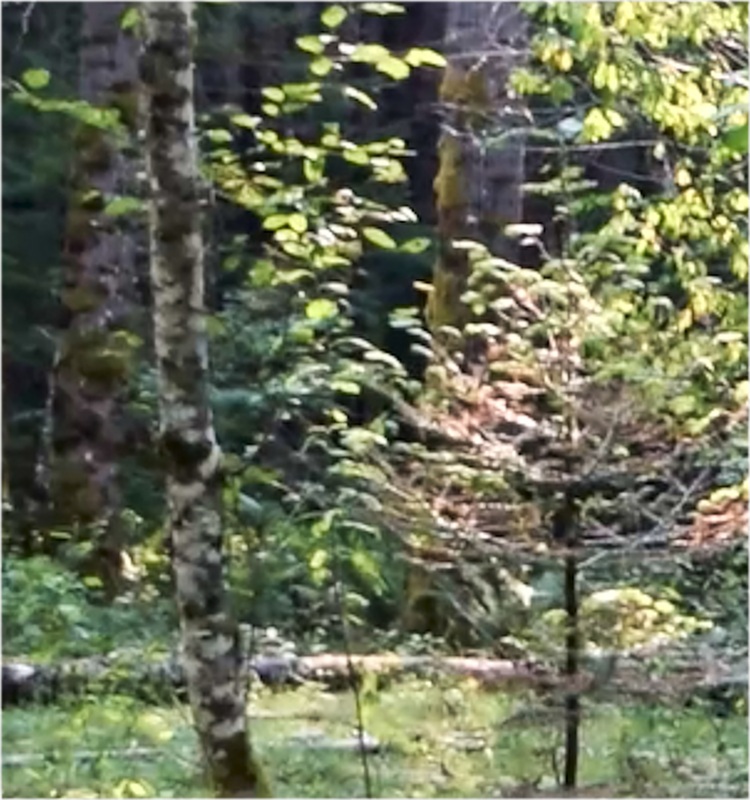 There has been plenty to report about with all the wonderful experiences we are having in the Cascade mountains and some great photos of our forest friends, the Sasquatch. Most of this has been posted on the Planet Sasquatch Facebook group since it’s easier to pop on a post with a couple of pics and a couple of sentences. It does take much more work to write a blog but I feel I need to get back in writing mode as I started work on my second book but got nailed by some serious health problems that landed me in the hospital a month ago. I am feeling much better now and have the energy to once again crank out some much needed information. Can they go from a physical form to becoming orbs? What was that light structure I saw with my own two eyes? A portal or the visible part of a larger ship? This was a lot to digest and left me with more questions than answers. So now I had to expand my thinking again and ask if the Sasquatch could shape shift as well. However, it also began to occur to me that maybe there are other kinds of entities out there – not just the Sasquatch. More questions! Who was this? An ET? Since this all happened near that light portal spot, were different entities coming and going using this as a transport portal to other planets or perhaps another dimension? Whatever preconceived notions I had before this about virtually everything evaporated because now I knew anything seemed possible! However, the fun was just starting for me with even more startling revelations! Be sure to join us for this great event on April 21 – 23 at the Baymont Inn & Suites in Bremerton, WA. Several well-known folks will be presenters/speakers including Dr. Matthew Johnson (of the Southern Oregon Interaction Area), Bob Gimlin (of the 1967 Patterson/Gimlin film of “Patty”), Ron Morehead (known for the best Bigfoot/Sasquatch audio recordings – the Sierra Sounds), Joe Hauser (of the Montana Vortex), Johnny Manson (organizer of the Sasquatch Summit). Click here to go to the registration page to learn more about this event! Shape Shifting Entity on Video! September 25, 2016 – Almost a year had passed since I witnessed the light portal and orb and I had yet to publicly report the incident on my YouTube channel. I hesitated due to the fact that I had very little proof other than my word and the photo of the sheared triangle on the ground. 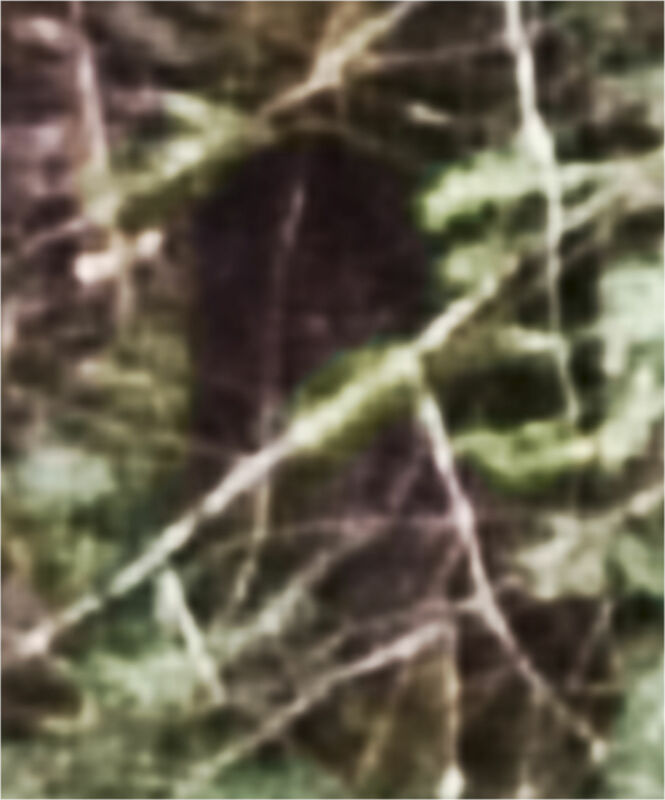 I did, however, disclose the incident during a presentation for the Team Squatchin’ USA Bigfoot group headed by Dr. Matthew Johnson a few months after he, along with several others and at different times, had witnessed an amazing portal at a location referred to as SOHA in southern Oregon. As time passed in my research, it became clear that any research involving the Sasquatch would also lead to unexplainable events that could not fit neatly in the “scientific box” that many old school researchers would confine themselves to. Anything that fell outside of this “box” would either be ignored or dismissed as invalid evidence. Also, during my earlier involvement with the general Bigfoot community, I felt the peer pressure to conform to preset limits on what you could or could not report. Anything that was unusual or “out there” would be met with ridicule by certain individuals who felt they had to police or censor information, pictures or videos that did not help to establish that Bigfoot was a real animal running around in the woods and certainly a lessor being than us humans. The threat to them was to suggest otherwise, that the Bigfoot were, in fact, a race of intelligent human-like beings with their own sense of community and spirituality. Thanks to people like Dr. Johnson and others who have not held back on reporting the strange and unusual experiences, often referred to as the “woo”, I decided it was time to come forward publicly on my experience of the light portal and orb on video. I felt it would be best to tell the story while I walked and recorded video along the same path in the area I call the Field of Dreams as I remembered it. So on August 27th, 2015, I headed to the area and stopped at a spot on the trail where I would start recording. I was amazed though at all the crazy activity up on the ridge with stick knocks while I set up my camera. I remember saying out loud, “I know! I know! I know you guys are up there but I’m here for a different reason and I need to get this done!” Go figure… the one time when the Sasquatch are trying to get my attention and I ignore them to do something else! So I passed up the opportunity to focus on all that activity just so I could tell my story about the portal! I reviewed the video slowly and was shocked to see this large head pop up just like what the viewer reported. 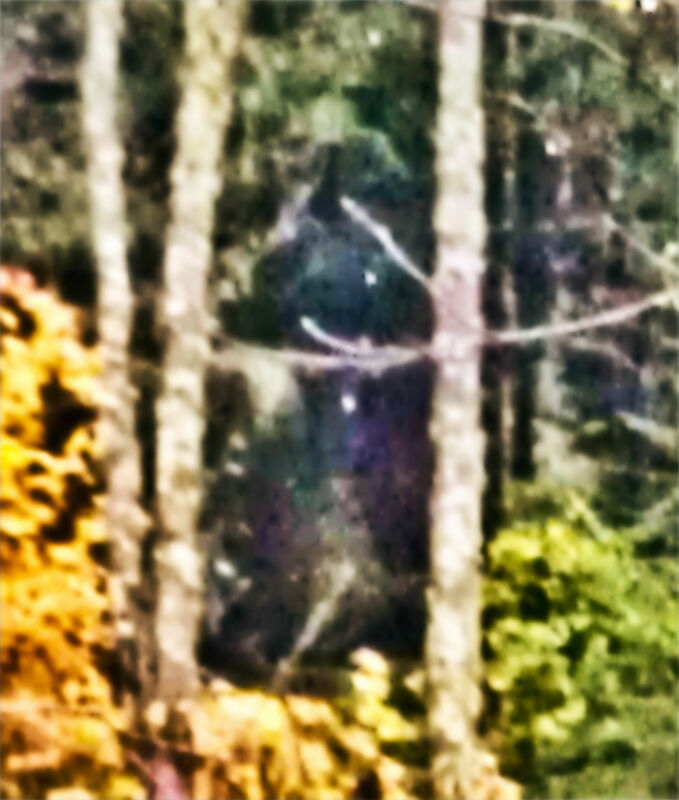 Although the camera was moving, it was still pointed in the same general area the creature was and I was able to observe it for a half a minute before it moved behind the tree. From my personal observation, it starts out looking like a Grey Alien with large eyes before changing into something that more resembles a Sasquatch. Was this a Sasquatch or a Grey? I couldn’t tell you for sure but perhaps the Sasquatch on the ridge were really trying to warn me that something was in the Field of Dreams before I started recording! Although this left me with more questions than answers, it would not be the end of the story as you will later find out in an upcoming article. Author Samantha RitchiePosted on September 25, 2016 September 25, 2016 Leave a comment on Shape Shifting Entity on Video! Planet Sasquatch Create a free website or blog at WordPress.com.